Just got a new PC and I'm really happy I've set up everything I've ever wanted to have on my own Computer. One of the things I did, I installed the best Windows Operating System so far, Windows 10 on the PC (if you'll also like to upgrade/install Windows 10 on your PC, here is a post that will help you out - Download and Install the final release of Windows 10). When I finished the installation, I noticed the Windows 10 OS has not been activated yet even after connecting to the internet. I've already activated it though (So watch out for our upcoming post on that, you don't want to miss it). 1. On the desktop, Right-click and choose Personalize as shown in the screenshot below. 2. Now select Themes on the left-hand menu. 3. 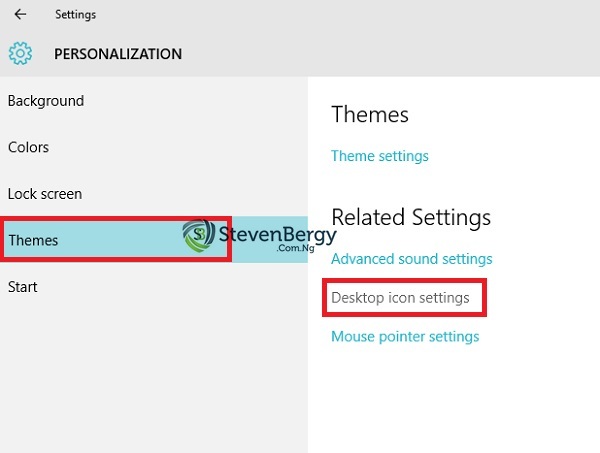 Once you are there, click on Desktop icon settings under the “Related Settings” section. 4. Now you have all the icons right in front of you. 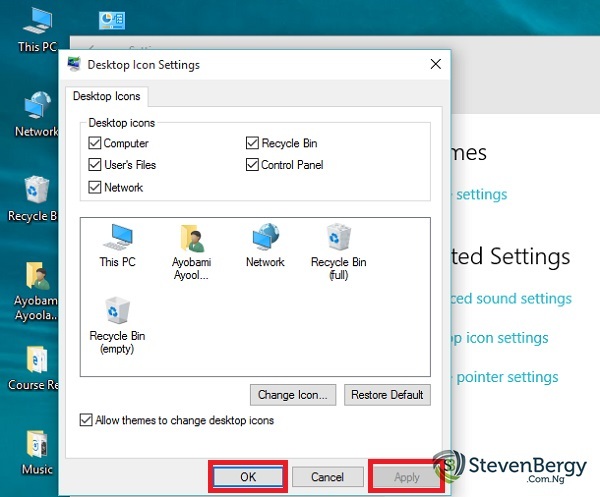 So tick the box(es) in front of the icons that you want to appear on the Desktop. 5. Now, you can click Apply and Ok then all the icons you've ticked will be displayed on the Desktop. You can see how simple and easy it is, now you'll be able to access those options faster than before. Are you planning to upgrade or install windows 10 anytime from now? or you've already installed but you have problem activating the Windows. 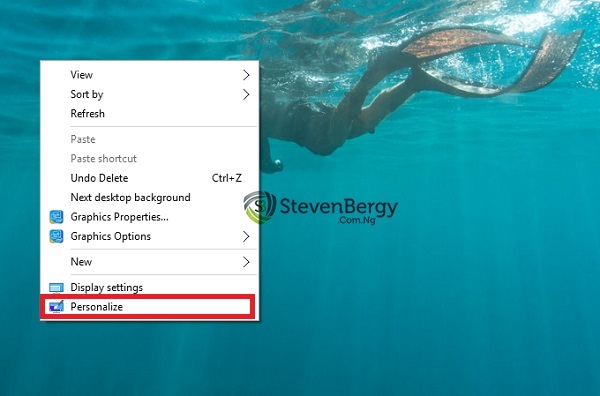 Our upcoming post will teach you step-by-step how to activate your windows 10 in a blink of an eye, just like magic. Don't forget to Subscribe to our FREE email updates to get this post directly in your mailbox. Sharing is caring, don't hesitate to share this post on your Social profiles. Thank you! God Bless!